CAIRO (UrduPoint News / Sputnik - 17th April, 2019) A national referendum on amendments to the Egyptian constitution allowing President Abdel Fattah Sisi to remain in power potentially until 2030 will be held on April 20-22, Lashin Ibrahim, the head of the National Election Authority (NEA), said Wednesday. 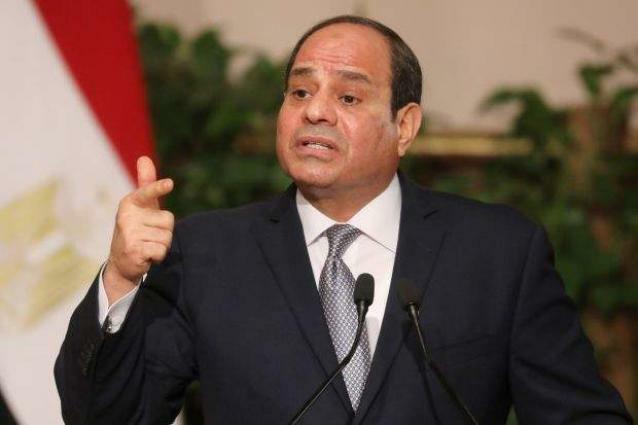 The Egyptian parliament on Tuesday passed by a majority vote a bill on changes to constitution that lengthen Sisi's current term to six years and allow him to stay in power for one more term. The amendments also give Sisi more power over the judiciary and grant him the right to appoint vice presidents. "The constitution should reflect the aspirations of the people," Ibrahim said at a press conference in Cairo, calling on the Egyptians to participate in building the country's future. According to Ibrahim, the voting at the referendum will be monitored by the judiciary branch officials and the representatives of the Egyptian and foreign non-governmental organizations and the media.